Using our 100 years of expertise, we craft the best quality candles to fill your home with appealing fragrance and inviting candlelight. Safe, clean-burning and long-lasting, our candles will put a smile on your face. Made with our proprietary wax formula, a custom blend of high-quality natural wax and food-grade paraffin. The World’s Brightest Candle™ – only available at PartyLite! Exclusive technology only available at PartyLite. Enjoy and instant, all-over glow! Custom-engineered tealight cup design allows the candle wax to pool at the centre for an even burn with total consumption – no wasted wax. Exclusive candle wax blend liquefies for a beautiful visual effect. 4-6 hours of shimmering ambience. Our votives also liquefy when lit. Custom votives shape features a special bell-top design that allows the wax to fully consume – no wasted wax! Up to 11 hours of burn time – great for bringing fragrance and a beautiful shimmer to your room. 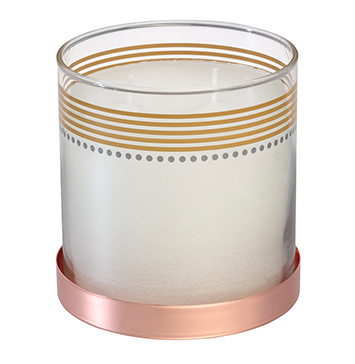 Tealights and Votives are available in most of PartyLite's exclusive fragrances as well as unscented white. Freshen every room in your home with wonderful, welcoming fragrances made with natural essential oils and patented NEOFRESH technology to eliminate odours. For use in any room and on fine or delicate fabrics. Available in 3 woodsy Fragrances - Island Driftwood (NEW), Coconut Teakwood (NEW), Tamboti Woods.